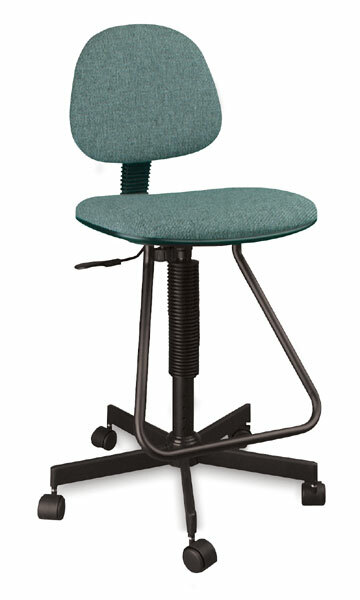 This contemporary, economical drafting chair features a comfortable, built-in angular footrest and an easy-to-reach pneumatic adjustment that sets the height from 23" to 33" (from 58 cm to 84 cm). The 12" (30 cm) backrest, which adjusts forward and back, and the 18" (46 cm) seat are both covered in durable nylon fabric. The 5-star base is constructed of black-coated steel with hooded double wheel casters.